Every top-performing workplace (and those aspiring to be one) knows the importance of an awesome and engaging company culture. When companies are engaged, employees are productive, clients are loyal, and business is good. But what separates the seriously engaged from the somewhat engaged? Is it effective managers, caring leadership, better pay, or something else? 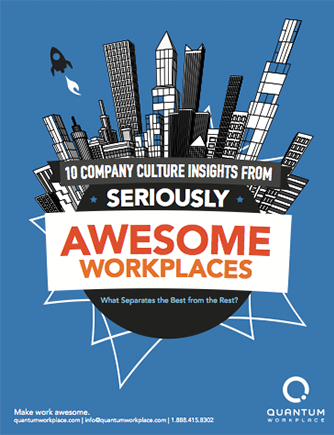 This research report uncovers what culture factors separate the most engaged companies from the rest and what you can do to be more proactive in creating an awesome and engaging workplace.